Great Chef Creates Exciting Restaurant Concept! 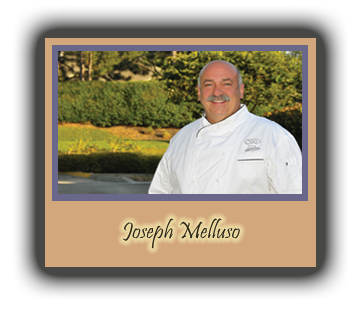 Joseph Melluso started in the business back in 1969. After many years of working for or owning different businesses, he put together systems to each and every aspect of the BEST practices that have become the TIN FISH concept. Cooking lean, healthy grilled fish & seafood and the signature lightly breaded old school deep fried items on the menu are done in a world class style. Everything is made in house! We bring in ingredients to make all original recipes with the emphasis on FRESH-FRESH-FRESH. Joseph Melluso, Licensor, was only a boy of 11 but he worked as hard as a man in the Long Island fish market where this “fish tale” all begins. In his teens he started working in many aspects with the world famous Fulton Fish Market. For years Joseph worked in successful filet houses and markets, as well as working as a lobsterman. He clammed, eeled, even cultivated clams and oyster beds for the NY State Conservation Department. Joseph learned the fish business inside and out from the “old Salts of the Sea”. Joseph became inspired to study cooking. He studied and received his formal training under two world renowned chefs–Giulliano Bugialli in NY at New School and Libby Hillman on Long Island and Vermont. Joseph’s early experience of business ownership includes bidding on a restaurant location in Old Town San Diego in 1998. The beautiful old building had originally been a tinsmith shop. The property’s history told that over 150 years ago there was a man, E. W. Nottage who had sold fish in front of this interesting old building. The name E. W. Nottage TinShop Museum Restaurant was cumbersome…Tin Fish Restaurant was born! The Tin Fish Restaurant name continues to spread across the country.